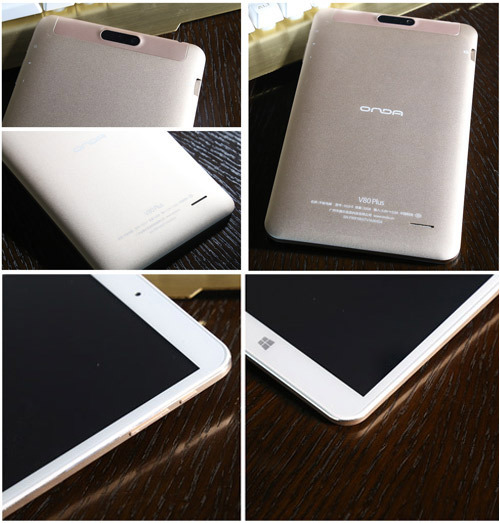 The Onda V80 Plus is definitely the world’s smallest Win 10 tablet in the world. This small 8.0 inches tablet offers quite interesting features at a very low price less than $100. It is equipped with an 8.0 inch display that supports for 1920 x 1200 pixels and dual OS that allows users to take advantage of both Windows 10 Home and Android 5.1 operating systems on the device. Powered by 5th-generation Intel Atom Z8300 graphics and 8th-generation Intel HD graphics, coupled with 2GB RAM and 32GB ROM. The tablet looks premium and feels handy. It is very light weight as it weighs just 315 grams or 0.325 kg. It is really sleek and stylish, the dimensions are 20.50 cm x 12.30 cm x 0.85 cm. The front of the tablet is equipped with a 2MP camera and a gorgeous 8″ IPS Full HD 1080p that offers excellent viewing angles, true-to-life colors. It sports a full metal body which has undergone the CNC technology process. It is textured and doesn’t feel cheap or slippery. At the top of the back cover, there is a 2.0MP camera. 3.5mm Earphone jack, Micro HDMI slot and Micro USB slot also are located at the top of the back cover. 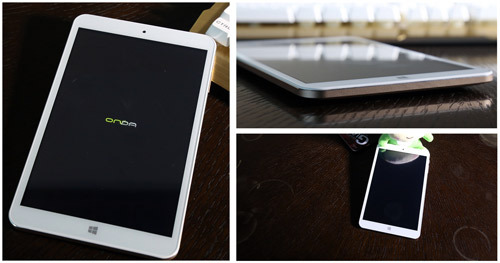 TF Card slot is located on the right side of the tablet and power button, volume button are located on the left side of the tablet. Onda V80 Plus features an 8.0 inch IPS screen and the screen ratio is 16:10. Its WUXCA display supports the resolution of 1920 X 2000 pixel with 24-bit colour depth. 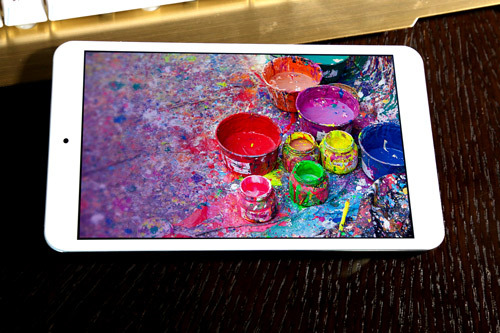 It also has an IPS 10-point capacitive multi-touch and boasts good colour clarity and quality. Onda V80 Plus is powered by Intel Cherry Trail Z8300 Quad-core 1.44 GHz that can run up to 1.84GHz with Turbo Boost technology and Gen8 HD Graphics GPU (up to 500MHz), which ensures handling the most demanding tasks with speed and responsiveness while preserving the battery life. With 2GB DDR3L RAM, The Onda V80 Plus is able to run a variety of apps and tasks with no pressure. As for storgar, the tablet comes with 32GB eMMC of internal storage that is enough to store your music, videos, photos and other files, and you could also add an external storage of up to 128GB using compatible cards. Onda V80 Plus comes pre-loaded with android 5.1 and windows 10 home operating systems. The choice for Windows 10 Home or Android Lollipop is a matter of user preference. For gaming and casual apps, the Android is a better platform while Windows 10 serves a great OS for office tasks and browsing. Nonetheless, switching to either OS will just take one tap. 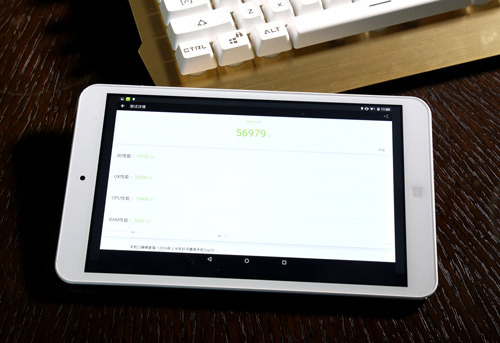 We benchmark Onda V80 Plus with Master Lu, The overall score is 57123, which is the normal level among tablets based on Cherry Trail Z8300 processor. 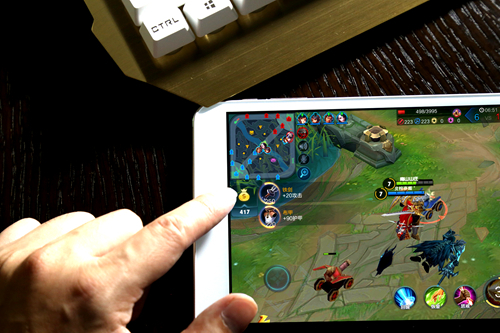 The tablet allows you to run basic games like CS. But some graphic intensive 3D games are not recommended. On the Android side, we test it with Antutu. The overall score is 56979, which is above average among tablets based on Atom X5 processor. The tablet is snappy in Windows 10 and we have experienced very little lag in light to moderate use. The tablet comes with a Lithium-ion 3.8 V/4200 mAh battery and offers you video play time of around 5 hours easily and game play time of around 3 to 4 hours. 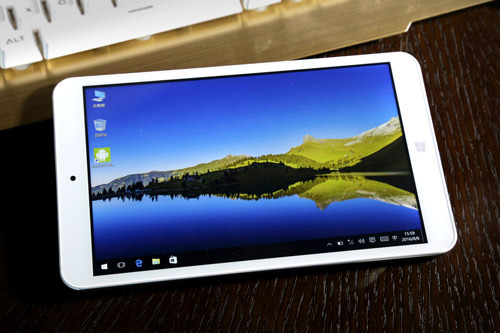 Onda V80 Plus is a really cheap and stable tablet PC. The tablet is a great choice for normal users. 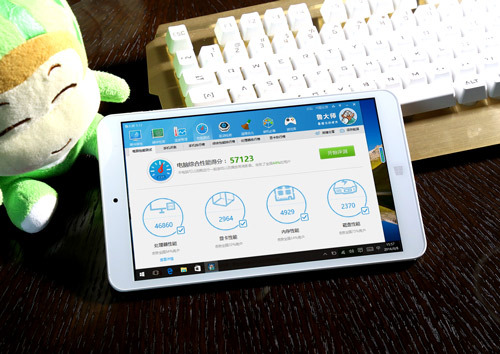 At less than $100 you are getting a fully functional Tablet PC with dual boot. After adding a keyboard to it, you are able to switch freely between tablet mode and laptop mode. If you are a normal user who surfs the internet, takes notes and need a portable and beautiful screen for media consumption, then this is the perfect bet.